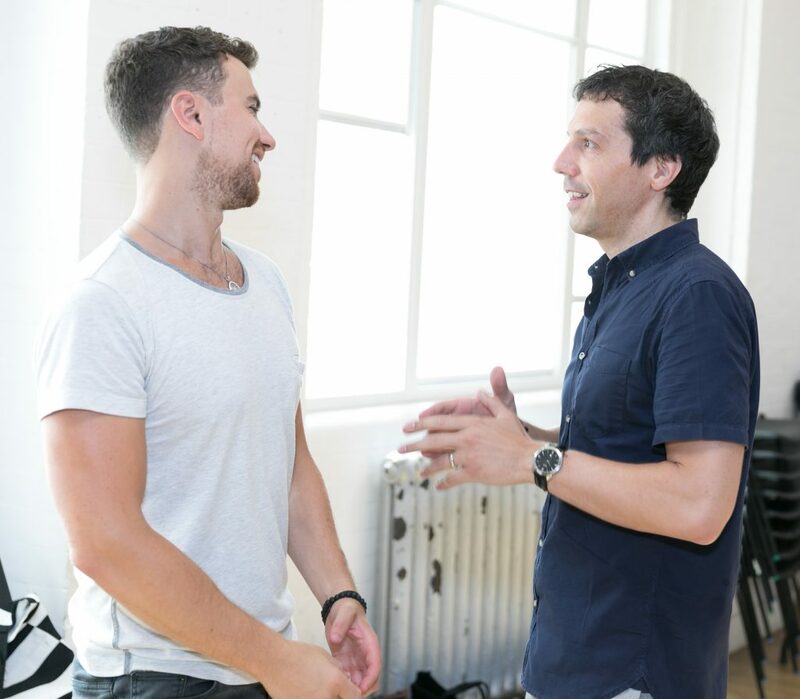 Rehearsals for Marianne Elliott’s highly anticipated new production of George Furth and Stephen Sondheim’s COMPANY which opens at the Gielgud Theatre from 26 September 2018 began today (Monday 6 August 2018). 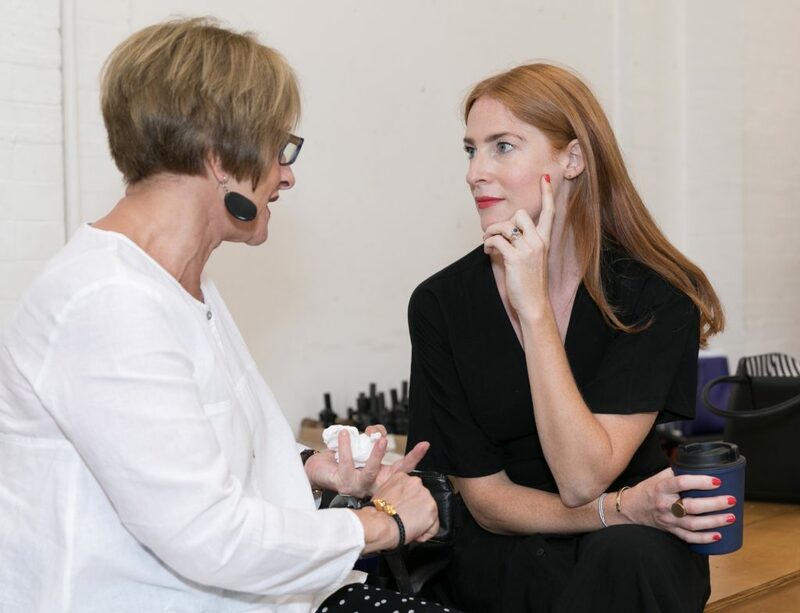 Cast members including Rosalie Craig(Bobbie), Patti LuPone(Joanne), Mel Giedroyc(Sarah), Jonathan Bailey(Jamie) and Richard Fleeshman(Andy) listened to Marianne’s plans for the show and had a first look at Bunny Christie’s designs. 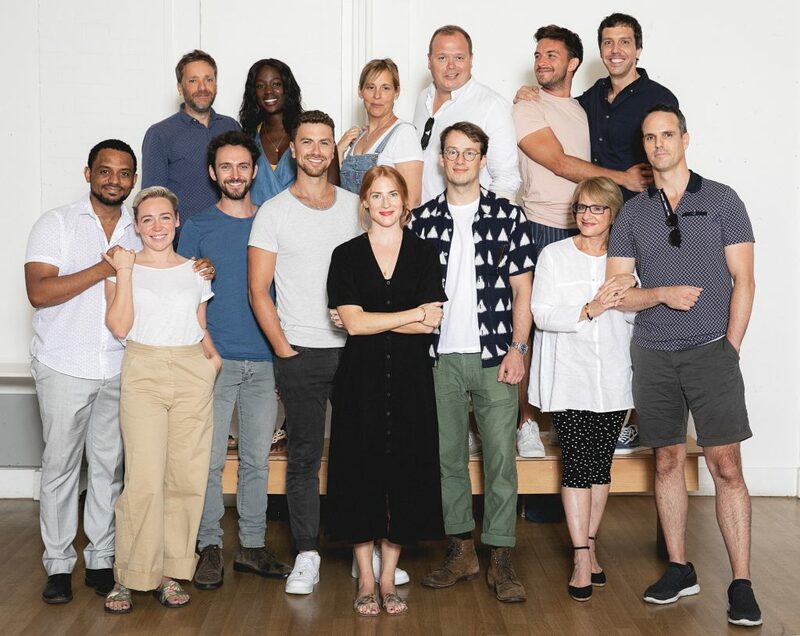 The complete cast for COMPANY is: Rosalie Craig as Bobbie, Patti LuPone as Joanne, Mel Giedroyc as Sarah, Jonathan Bailey as Jamie, George Blagden as PJ,Ashley Campbell as Peter, Richard Fleeshman as Andy, Alex Gaumond as Paul, Richard Henders as David, Ben Lewis as Larry, Daisy Maywood as Susan, Jennifer Saayeng as Jenny, Matthew Seadon-Young as Theo and Gavin Spokes as Harry. Joining them are: Michael Colbourne, Francesca Ellis, Ewan Gillies, Grant Neal and Jaimie Pruden. Marianne Elliott, Artistic Director of Elliott & Harper Productions, a company she founded in 2016 with producer Chris Harper, was awarded an OBE in the 2018 Queen’s Birthday Honour’s List for her services to theatre. Elliott is the first woman in Broadway history to win two Tony Awards for Best Director and her recent Broadway transfer of Tony Kushner’s Angels in Americareceived the 2018 Tony Award for Best Revival of a Play. Angels in America at the National Theatre also received the 2018 Olivier Award for Best Revival of a Play. Marianne’s ground-breaking production of The Curious Incident of the Dog in the Night-Time received 7 Olivier Awards in London, including Best New Play and Best Director and 5 Tony Awards for its run on Broadway, including Best Play and Best Director and continues to tour internationally. Her production of Saint Joan earned her the Olivier Award for Best Revival of a Play and Pillars of the Community earned her the Evening Standard Award for Best Director. War Horse, which she co-directed, and has been seen by over 7 million people world-wide, and is on its second UK tour. The producers for Company at the Gielgud Theatre are: Elliott & Harper Productions,Catherine Schreiber, Grove Entertainment, Jujamcyn Theaters, LD Entertainment, David Mirvish, Aged in Wood Productions/Ricardo Hornos, Bob Boyett/Tom Miller, Bruno Wang Productions/Salman Al-Rashid, Across the Pond Theatricals/Trio Theatricalsand Greek Street Productions/Christopher Ketner.